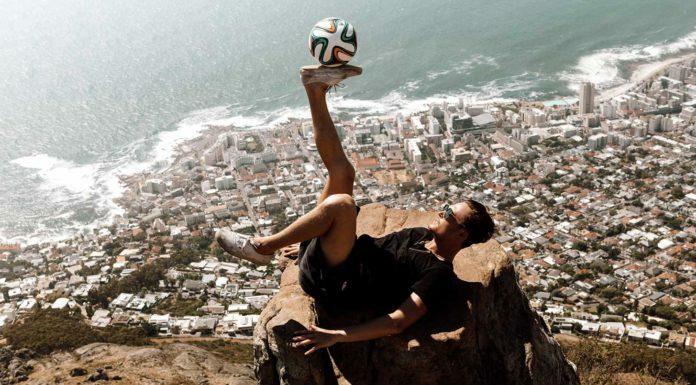 Last March, New Balance launched a bold new campaign offering a select few amateur soccer players the chance to be treated like pros as part of their extension into the world of football. The Blackout Squad contest serves as a participatory effort to compete with industry giants Adidas and Nike, and gain the attention and loyalty of some of the best youth players in the country. Winners of the contest received the support of the multinational company, including free gear and the opportunity to try out new product before it was released to the public, and New Balance no doubt hopes they will in turn serve as on-the-ground ambassadors of their product. 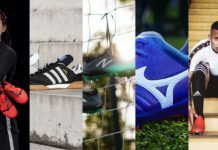 The company began its expansion into soccer in 2015 and now has a star-studded lineup that includes the likes of Arsenal’s Aaron Ramsey, Man City’s Jesus Navas, and Sevilla’s Samir Nasri. To apply, contestants were asked to describe why they deserved to be part of the elite group, and demonstrate how they were leaders in the football world. A panel of judges selected 60 winners in the U.S.
Now, almost one year since the contest was launched, we got a chance to catch up with two contest victors, New York native Alex Schachinger and Jake Trumbull from El Dorado Hills, CA. Blackout Squad winner Alex Schachinger tries on a pair of New Balance cleats. Photos courtesy of Beth Schachinger. Schachinger is 14 years old and currently plays in the National Player Pool of the Super Y League. 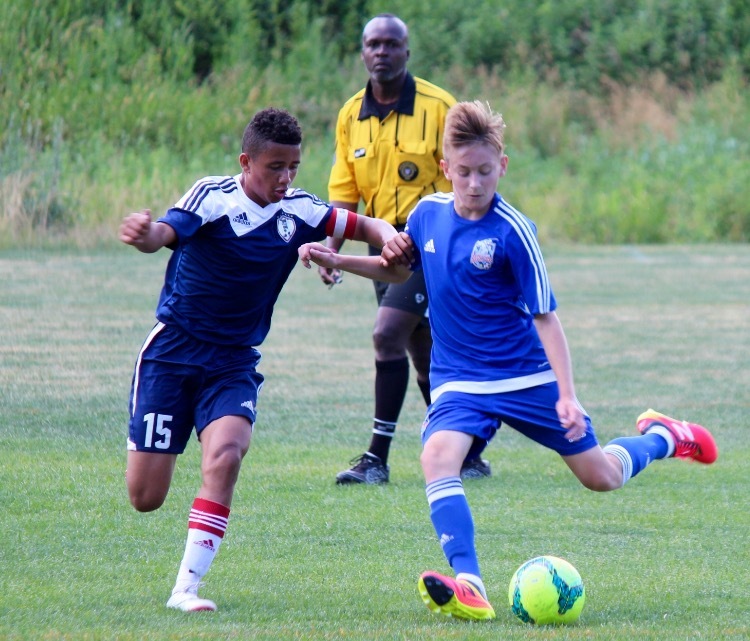 The Super Y League contains the youth academies of Major League Soccer, United Soccer League, and Premier Development League, and consists of the top 1 percent of youth players in the U.S. and Canada. The National Player Pool, in turn, consists of the most elite players of that league. Interestingly, one of the main focal points of their athlete development is small-sided play for young footballers. Schachinger is also a member of the New York HOTA Bavarians of the National Premier League. Schachinger balling in his New Balance cleats. 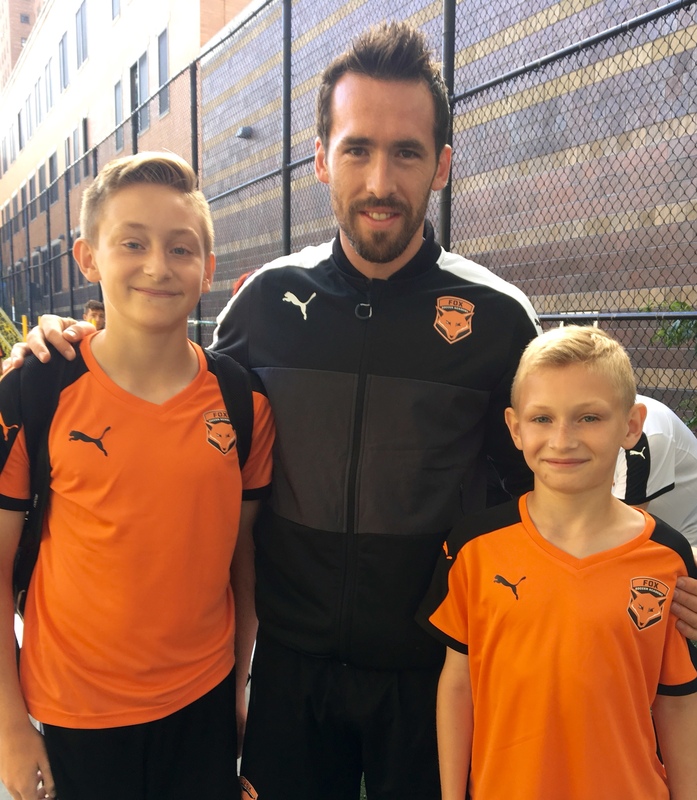 Schachinger (left) poses with Premier League champions Leicester City’s Christian Fuchs, and his brother, John, at the Fox Soccer Academy. The young baller also began freestyling this past summer after working with Martin Schopf, who participated in the 2016 Red Bull Street Style competition. 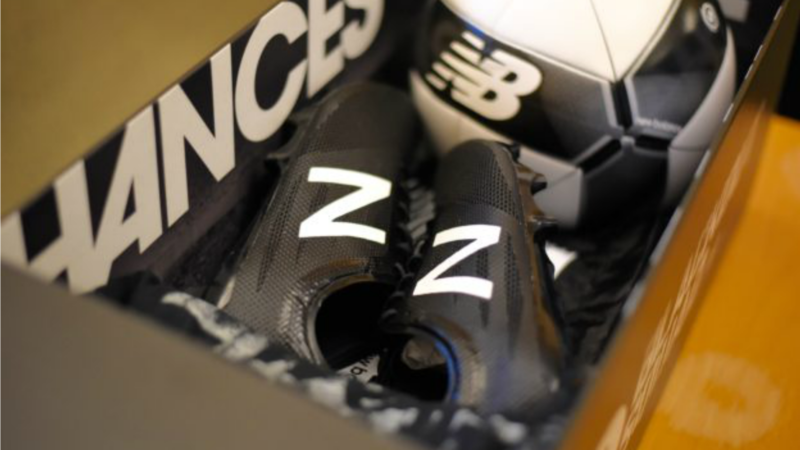 Schachinger says he was pleasantly surprised with the quality of the many products New Balance has sent him, including boots, shirts, shorts, socks, jackets, bags, and soccer balls. “The gear is high quality and innovative. The boots are some of the best I have ever worn because of the way they fit,” Schachinger said. In my experience, athletes used to be brand loyal. Now it is about fit, the technology, and just what is appealing aesthetically. He also believes that New Balance can compete with Adidas and Nike, not only because of the quality of the gear, but the changing mentality of today’s athlete. 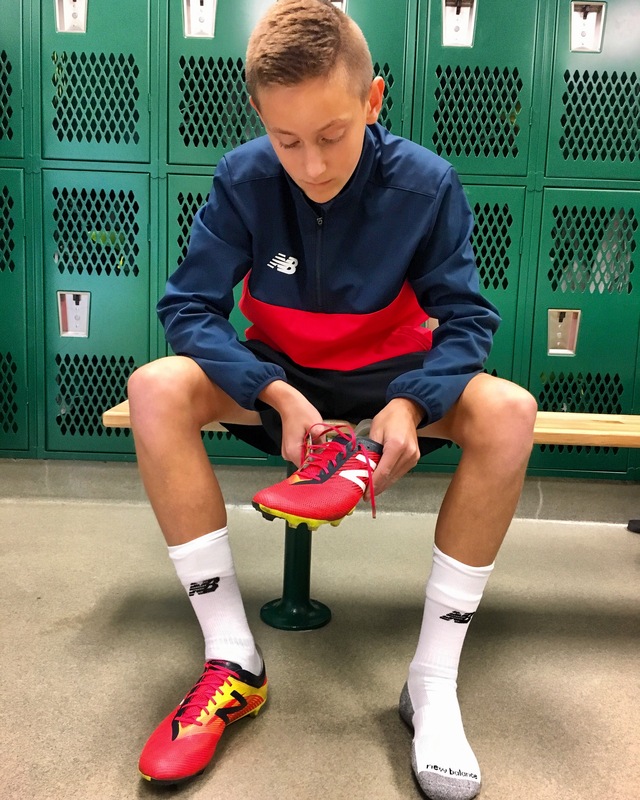 Jake Trumbull has been a part of El Dorado Hills Soccer Club since he was 12, and currently plays for their U19 Mayhem team. “Since I won the Blackout Squad contest, it’s given me great pride and I’ve almost felt sponsored by the club. My friends saw it that way as well,” Trumbull said. Like Schachinger, Trumbull was impressed by the quality of New Balance’s apparel. Despite their cleats not being quite as top notch as Adidas or Nike, Trumbull said he thinks that New Balance can make a push to be mentioned with the two giant companies. 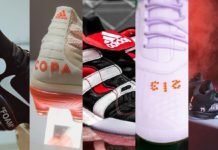 “I think New Balance could compete with Adidas or Nike but they are going to need to either get a star player who is sponsored by them, or make a model that is top class and becomes one of the classic cleats, for example the [Nike] Tiempo,” Trumbull said. All in all, Trumbull said his experience was positive, and that he was thrilled to be a part of the Blackout Squad. “I’m really thankful I won the contest and I am blessed to have been given this opportunity,” Trumbull said. 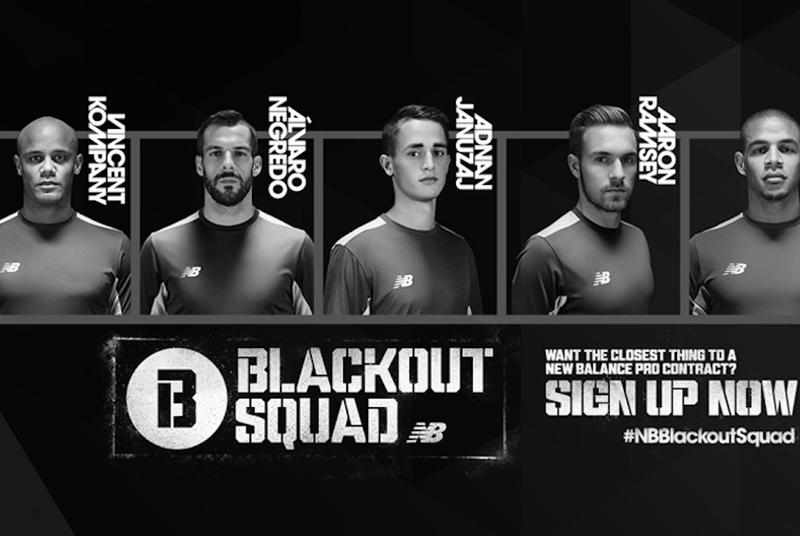 Click here for more information about the Blackout Squad.